Hit the slopes in luxury from the classic mountainside retreat of the Valdoro Mountain Lodge. Find timeshare resales and rentals at the resort at prices up to 70% off retail today. What’s My Valdoro Mountain Lodge Timeshare Worth? At the base of Breckenridge's Peak 9, the Valdoro Mountain Lodge creates a quintessential Rocky Mountain retreat perfect for vacations any time of year. With the summer offering great hiking and exploring, and the winter providing incomparable skiing and excitement, the Valdoro Mountain Lodge will accommodate anyone looking to explore Colorado's vast beauty. The resort's charming lodge-style design lets you know you've arrived at a one-of-a-kind mountain retreat, with on-site features like outdoor hot tubs, a spa, and a fitness center allowing you to truly relax in the mile-high air. The 70 suites available range in size from studio rooms to massive three bedroom residences. Perfect for couples or groups and families that total up to eight, the Valdoro Mountain Lodge accommodations are well-equipped with modern furnishings to ensure everyone's comfort. Plus, the units are tastefully appointed and include desirable amenities like stone fireplaces, full kitchens, gorgeous mountain views, and much more. You'll know you've found your dream getaway as soon as you check in at the Valdoro Lodge. If you're ready to explore amazing vacation ownership options at this resort, fill out the form on this page. You can also call a representative directly at 1-877-815-4227 for more information. 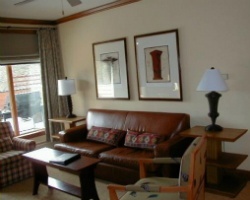 Owning a timeshare at the Valdoro Mountain Lodge can provide you with years of great trips to Breckenridge. Through the timeshare resale market, however, you can find the same vacation ownership solutions for thousands less. Timeshare resales at the Valdoro Mountain Lodge are offered by current owners themselves, and not the resort. This means that prices are often much more affordable, allowing vacationers like you to save big. You can find timeshare units at the Valdoro Lodge at prices up to 70% lower than retail costs. 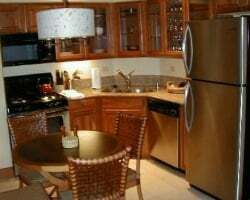 Resales at the Lodge often come in the form of deeded fixed and floating weeks, as well as in Hilton Grand Vacations Club points. This will give you a variety of results to consider when searching for a resale unit that's right for you. Another benefit of becoming a Valdoro Mountain Lodge owner is the exclusive vacation potential that the Hilton Grand Vacations Club can offer. 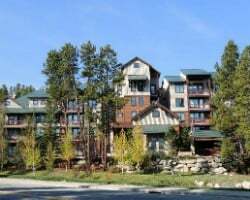 The Valdoro Mountain Lodge Breckenridge is affiliated with Hilton Grand Vacations Club, Hilton's timeshare ownership brand. One of the most popular and most resale-friendly brands in the industry, you'll have access to many of HGVC's best benefits and perks. While you won't be able to enroll at the Elite level, you'll still be able to use your resale to enter the club and enjoy the perks. You can convert your unused HGVC points into HHonors rewards points, bank or borrow your yearly allotment for more flexible vacation planning, or even explore other destinations by booking rooms at other Hilton resorts. The Valdoro Mountain Lodge is also affiliated with RCI, the world's largest timeshare exchange company. Exchanging your timeshare resale could take you all over the world, allowing you to get the most out of your ownership. Simply deposit your Breckenridge accommodations into the RCI exchange network, and trade for stays at comparable resorts worldwide. 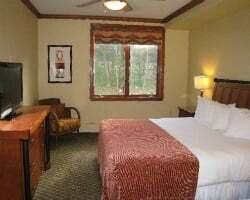 Additionally, the Valdoro Mountain Lodge is a Gold Crown rated resort by RCI, noting its top-of-the-line accommodations and amenities. This means that resorts you seek to exchange with will likely also be of the highest quality. This Hilton Breckenridge resort brings together high quality on-site amenities with exclusive services to create a carefree vacation for every guest. You'll find that the resort's hot tubs, steam room, and on-site spa are the perfect spots to relax, while the fitness center and surrounding hiking and biking trails are ideal for working out while on vacation. Ski equipment and bike rentals can be found at the resort's front desk, perfect for anyone seeking an active vacation packed with fun. The Valdoro Lounge is a great spot to grab some drinks, or you may choose to head out to nearby spots like Hearthstone or the Breckenridge Brewery, just a few blocks away. Ski lifts are abundant throughout Breckenridge, and you'll find some just minutes from the Valdoro at the bottom of Peak 9. The Valdoro Mountain Lodge is also just two blocks from Main Street, which features fun shops and exquisite restaurants worth a stop. Other activities are spread throughout the area, such as the Breckenridge Golf Course and chartered hot air balloon rides through the Rockies. Already Own at Valdoro Mountain Lodge?